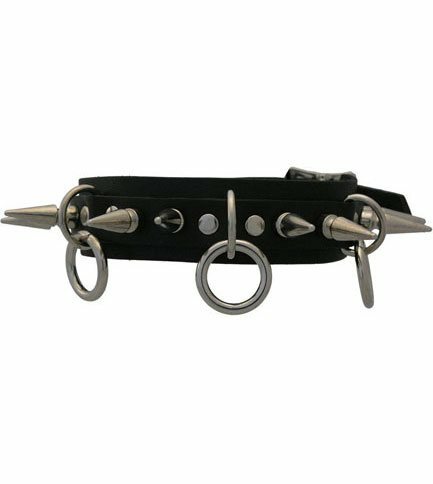 Leather choker with three rings and large spikes. 1.25 inch wide adjustable buckle fastener by 5 inch at 1 inch increments. Hand made in the USA. 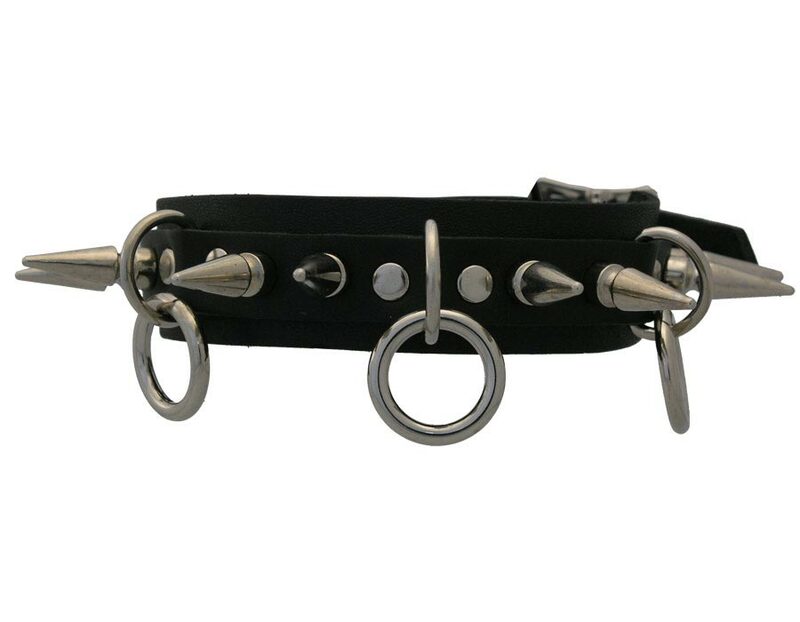 this choker is awesome people always give me complaments for it id recomend it to those who like the spikey look.